HTV-6 had departed the Space Station over one week prior to Sunday’s targeted end of mission maneuvers, time originally planned to be spent with a tether experiment, however, problems emerged shortly into the activity and Mission Controllers were unable to verify whether the spacecraft had deployed its 700-meter tether. The craft’s main mission of ferrying supplies to the International Space Station and picking up the trash was officially completed on Friday, January 27 when the spacecraft was released by the Station’s robotic arm and fired its engines to enter an independent orbit for the tether experiment. HTV-6 had spent six weeks attached to ISS, facilitating the delivery of six metric tons of cargo including a batch of new batteries installed on ISS in an extensive robotic and spacewalking effort in January. Leaving ISS behind, HTV-6 completed a pair of maneuvers to reach an orbit of 360 by 370 Kilometers – thirty Kilometers below the Space Station’s orbit, ensuring the week-long tether experiment would not interfere with ISS. 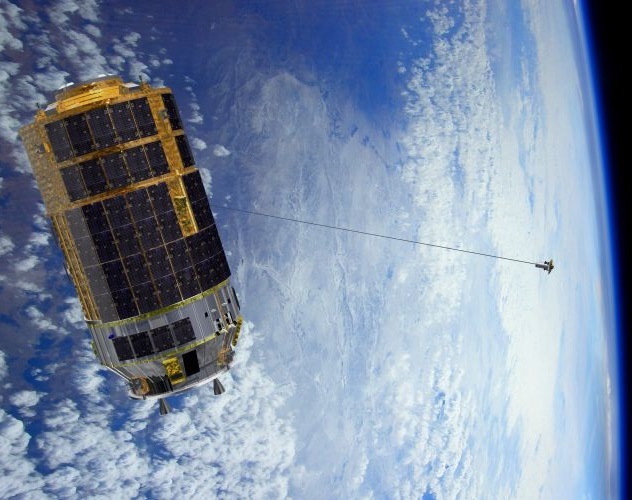 Known as the HTV-KITE experiment, the technical demonstration was supposed to be a feasibility study and data-gathering exercise, exploring whether electrodynamic tethers are a viable method for the removal of space debris. 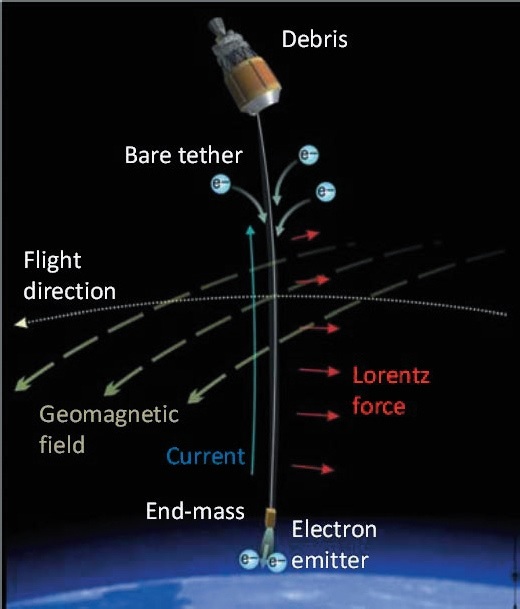 In theory, a charged tether of sufficient length when immersed in Earth’s magnetic field, could generate thrust to remove sizeable pieces of space debris from orbit. KITE was planned to measure the electromotive force generated by the tether in various modes to deliver hard data for future development work. Tether deployment was expected around 24 hours after the spacecraft’s departure from ISS, however, Mission Controllers in Tsukuba, Japan were unable to confirm a successful deployment due to at least one of four deployment mechanisms on the tether’s end mass not activating properly. The plan had been to release the tether’s 20-Kilogram end mass via four non-explosive separation actuators to allow a loaded spring to accelerate the mass to 1 meter per second, allowing the aluminum and stainless steel wire to unwind from its reel. Deployment was expected to end by engaging a friction-based brake once the tether deployed to a length of 710 meters. 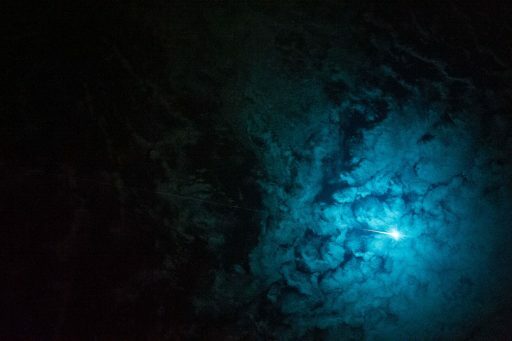 JAXA did not provide official updates on the status of the KITE experiment, but media reports citing JAXA officials indicated that no confirmation of tether deployment was available as of Tuesday. Engineers planned to use a camera as well as HTV’s optical rendezvous navigation sensors to detect the tether and monitor its motion. 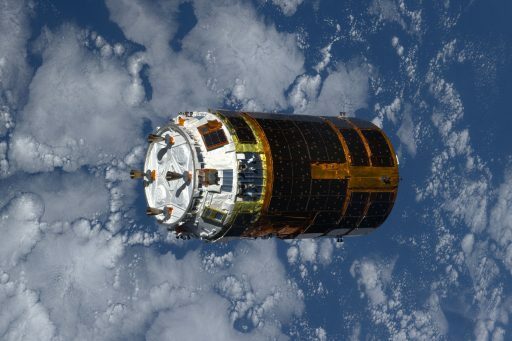 Mission Controllers were not willing to change HTV’s planned end of mission schedule which dictated that, even if the experiment can not be completed, KITE would be cut on Saturday to allow HTV to begin preparations for re-entry. Had the tether deployed, it would show up in orbital tracking data as a separate object in a ~360 x 370-Kilometer orbit. As of Sunday afternoon, no objects were detected, suggesting KITE will join a large group of attempted but unsuccessful tether experiments. 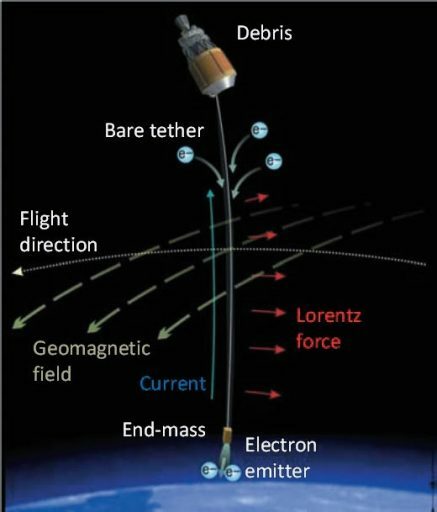 KITE was hoped to showcase the potential advantages of using tether technology for the removal of space debris – they require no propellant and only very little electrical power because the electromagnetic force generating the thrust component is created by the tether current’s interaction with the geomagnetic field. Regardless of the outcome of its secondary mission, HTV’s final task was setting up for a targeted re-entry into the atmosphere to safely dispose the ten-meter long spacecraft. A pair of maneuvers were performed at 8:42 and 10:12 UTC on Sunday to lower the spacecraft’s orbit and set up for a final deorbit maneuver. 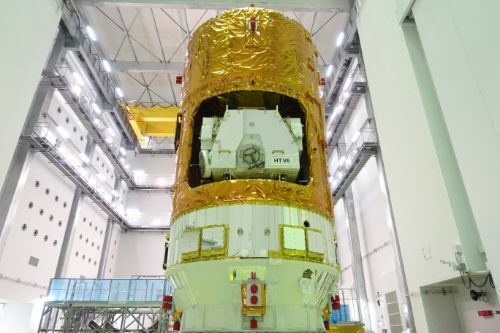 JAXA confirmed that HTV-6 successfully executed its third and final deorbit maneuver at 14:42 UTC, firing its HBT-5 main engines in a retrograde attitude to slow down and enter an arc taking the spacecraft toward the dense layers of Earth’s atmosphere. 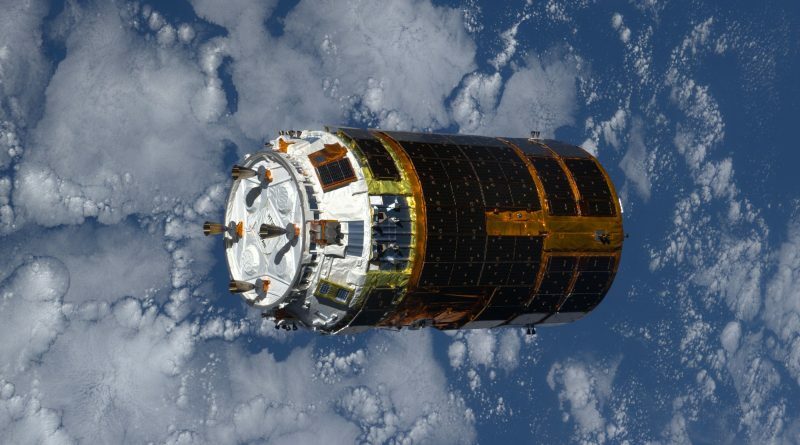 HTV-6 encountered the atmosphere at 15:06 UTC and drag quickly built up to a destructive force, causing the spacecraft to break apart and burn up. Any surviving spacecraft components were expected to fall in a remote stretch of the Pacific Ocean around 15:21 UTC, away from inhabited land masses and busy shipping lanes. 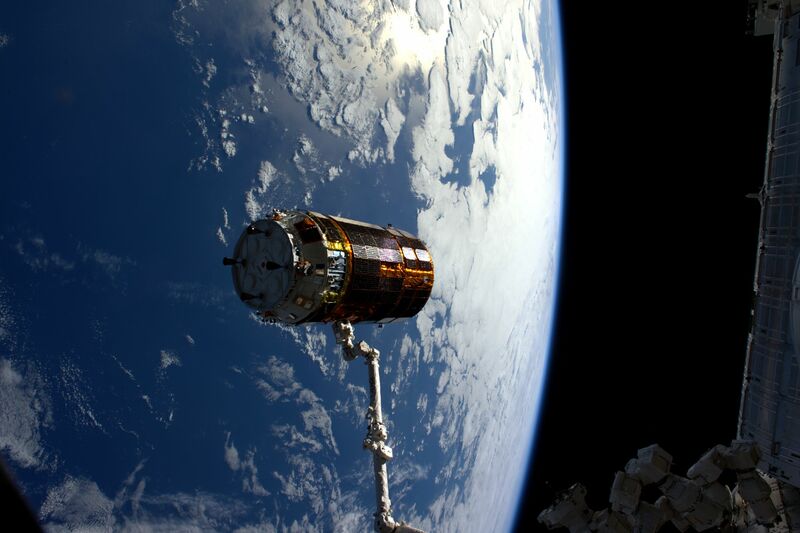 Although the tether experiment could not be completed, the HTV-6 mission was an overall success in that it achieved its primary objective of delivering cargo to the International Space Station. HTV is currently the largest in the Station’s resupply fleet and the only spacecraft capable of carrying sizeable external payloads to the complex – giving it a crucial role in external maintenance of the Space Station, highlighted by the recent round of battery replacements that gave ISS two revamped power channels. The next HTV mission is still a full year away with a notional launch date of February 1st, 2018. 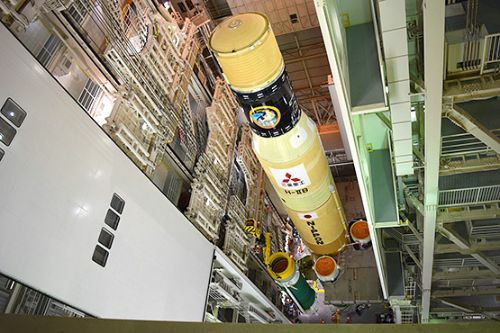 HTV-7 will again carry a new batch of batteries to the Space Station to continue the replacement of aging Nickel-Hydrogen battery units with high-capacity Li-Ion batteries to enable the complex to head into its last decade of operations with full power availability. Two more battery flights are planned on HTV-8 and 9 in 2019 and 2020.